​The DDH Lounge is upstairs. Our lounge opens at 5pm. We stock a full bar and a offer our normal dinner menu plus a bar menu. Both menus are available anytime. Happy Hour is in effect from 5pm to 630pm every evening. 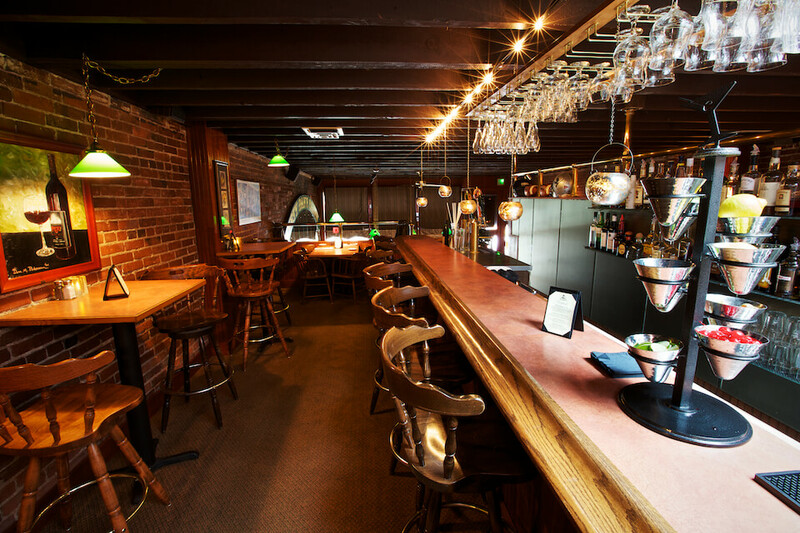 The bar menu, select spirits, beer and wine are attractively priced during Happy Hour. Available Anytime in bar; prices shown below are for happy hour only; 5-6:30 daily. ​Kids are glad we've got it. Parents are glad we got it right. Our kids menu is full of great meal choices for our littlest diners. Our Chefs can usually whip up a meal solution for picky eaters. Major credit cards are accepted. Sorry, we do not accept personal checks. 18% gratuity may be added for parties of six or more. Our split entrée charge is $4.00. *May contain raw or uncooked animal or seafood product. Such items may increase your risk of food borne illness. We are a small from scratch kitchen, please keep food modifications to allergens and dietary restrictions. Thank you.